Reservations recommended, walk-ups welcome depending on availability. Enjoy the cool breeze from the Atlantic Ocean on a hot summer day as we cruise around the beautiful waters of the Matanzas Bay and Intracoastal Waterway for your own waterfront perspective of many of the city’s most popular highlights, including the St. Augustine Lighthouse, Castillo de San Marco National Monument, the Bridge of Lions, Flagler College, and more. 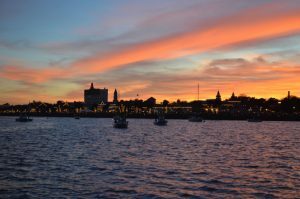 We also focus on wildlife and nature viewing – Natural Florida is all around St. Augustine and just a boat ride away. This trip lasts approx. 1 hour. Departs from the Conch House Marina on Anastasia Island, just a short distance from historic downtown across the Bridge of Lions. Time varies according to sunset. Available daily from Feb – Nov. 22. 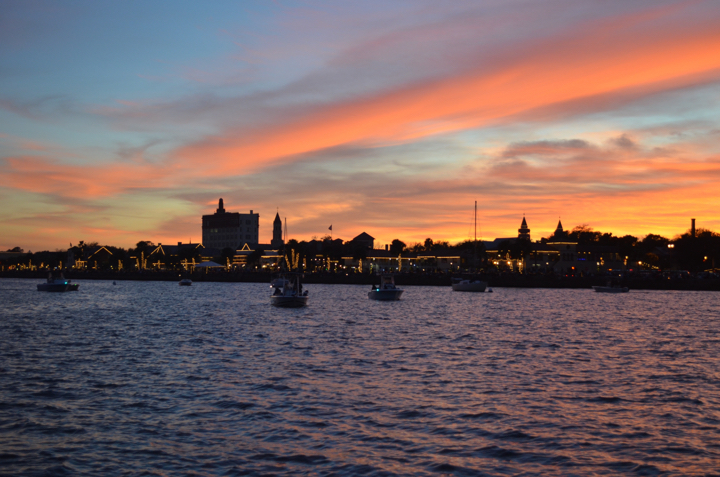 Wrap up your day as the sun sets on scenic downtown St. Augustine. We’ll look for dolphins, as we cruise around the Matanzas River and Inlet. 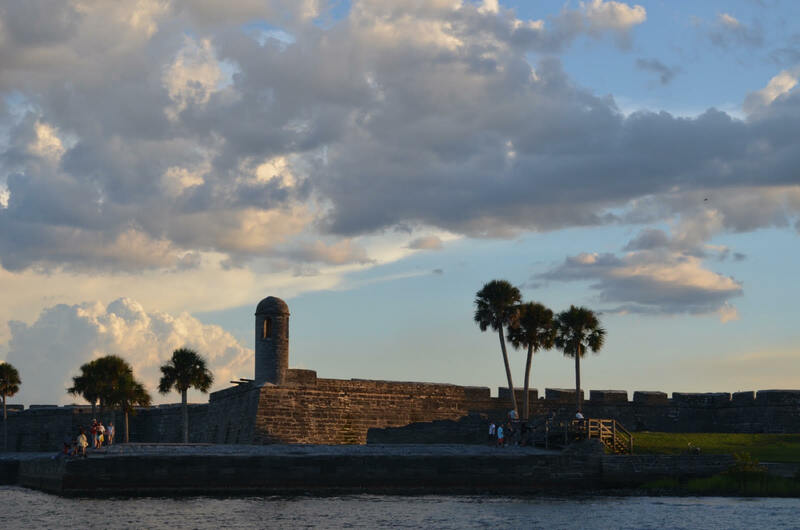 You can enjoy viewing the native wildlife while taking in sites, such as the Bridge of Lions and Castillo de San Marcos. Feel free to bring your own refreshments, including alcoholic beverages – we just kindly request you partake responsibly. Sunset tours are available by reservation. Times will vary depending on time of sunset. This trip lasts approx. 1 hour. Departs from the Conch House Marina on Anastasia Island, just a short distance from historic downtown across the Bridge of Lions. Private boat charters are tailored to your group’s needs and interests, whether you want to organize a family gathering, take photographs, bird watch, beach comb, swim, or have other special requests. 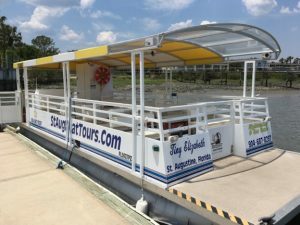 Our privately chartered boat tours are perfect for family outings and reunions, special occasions, luncheons, outdoor classroom settings, team building, burial at sea, celebration of life, and more. The size of our vessel (a 20-passenger pontoon with full shade, music and facilities) makes our private tours affordable for your smaller group. The private charter allows you to rent the whole boat with captain and bring your own food and beverages, alcohol as well. (Pricing is determined by duration of the boat ride and number of passengers.) Call Captain Russ to discuss options for your private boat charter. Time varies according to sunset. Available daily from Nov. 23 – Jan. 31. Sparkly lights! Our evening boat tours from Nov. 23 through Jan. 31, celebrate the beauty and festivity of the Old City’s Nights of Lights. 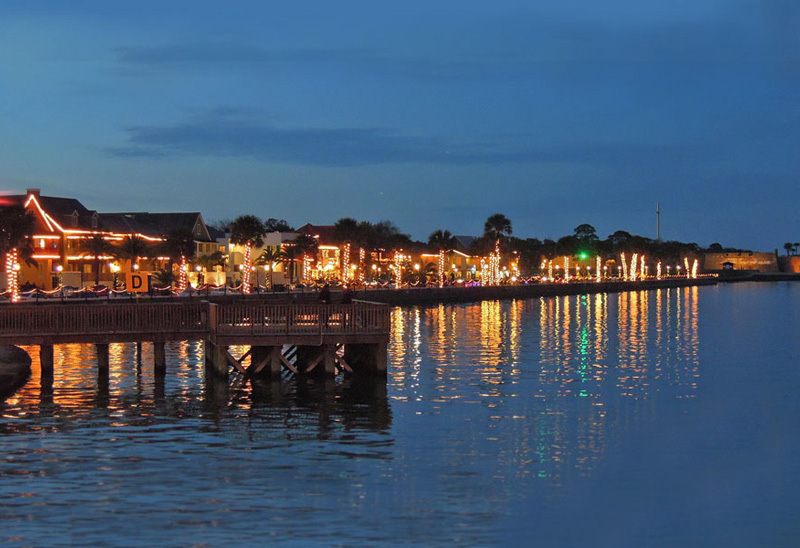 St. Augustine in the evening is already a beautiful scene, but the city puts on a glowing show for the holidays, dressing up downtown with hundreds of white lights that look stunning from a waterfront view. 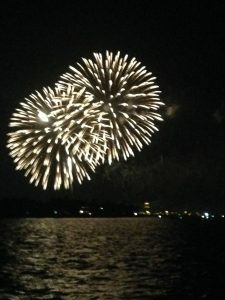 We cruise the waterfront to enjoy the light show, while also taking in the landmarks that make the city so very special. This year we will be offering a tour on the 24th and the25th, special pricing applies. You can have some fun viewing the lights with our special 3D glasses. Nights can be on the cool-side, so make sure to dress appropriately for the weather. This trip lasts approximately 1.5 hours. 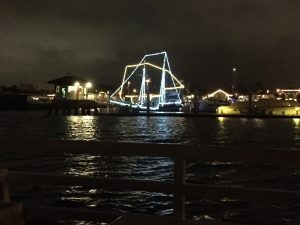 Tip: Nights of Lights also makes a fantastic private charter for your group! 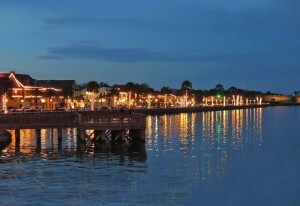 Departs from the Conch House Marina on Anastasia Island, just a short distance from historic downtown across the Bridge of Lions. 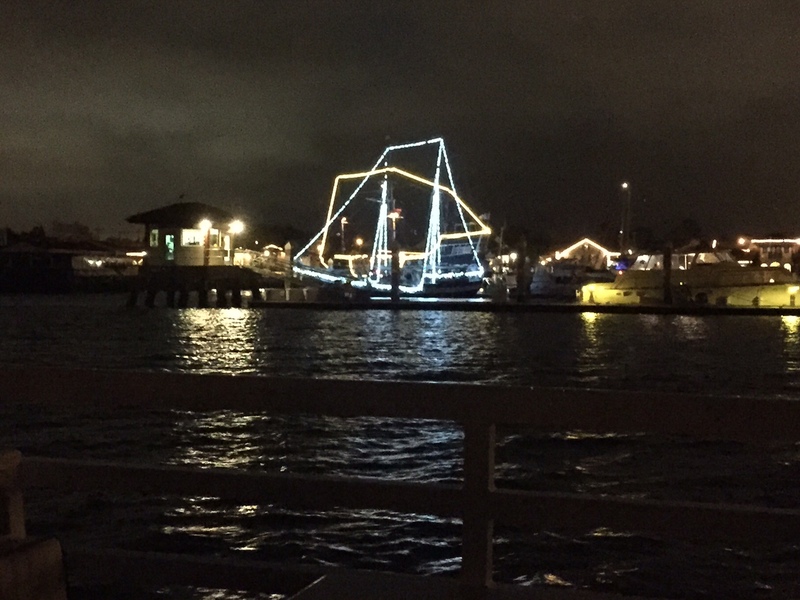 Join us for the annual Christmas Boat Parade. We will not actually be participating in the parade as we will anchor in a strategic position to get an up close view as the contestants parade in front of the downtown area. This tour allows you to view the participants multiple times from various angles. You are also welcome to bring a small cooler with beverages. (Please be responsible and courteous of other guests) Always dress on the warm side, it can be considerably cooler on the water. This special event comes once a year so it is a good idea to plan ahead. 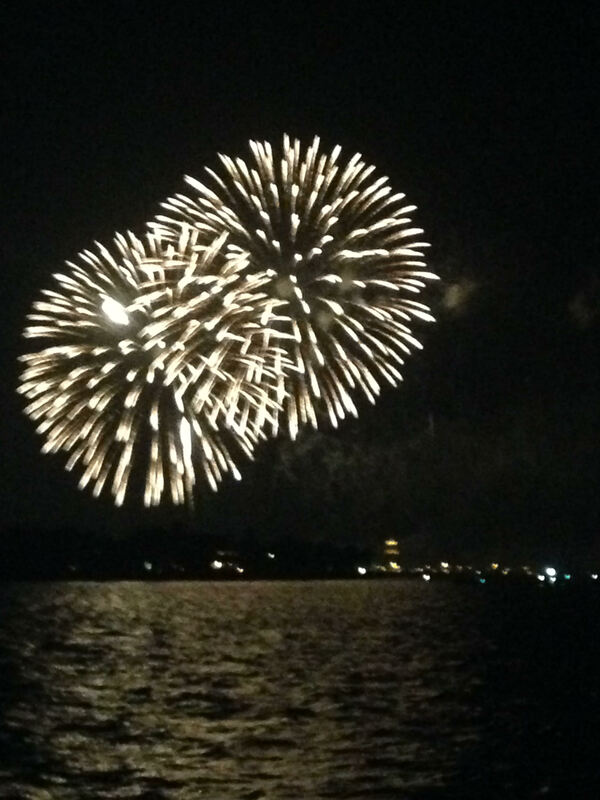 You will have a front row seat to a spectacular fireworks show without dealing with the crowd. The tour departs at 8:30 to allow plenty of time to get anchored for the show which normally begins around 9:30. We encourage people to book the entire boat for a private event and you are always welcome to bring food and drinks. In the event we are not booked for a private charter we will take individual bookings as well.